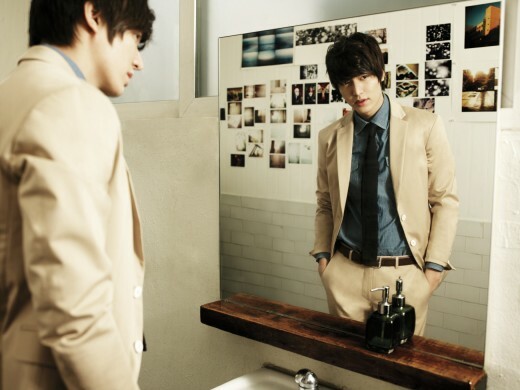 Lee Min-Ho was born in Heukseok-dong, Dongjak-gu, Seoul, South Korea on June 22, 1987. His family consists of his mother, father, and one older sister. As a young child, Lee Min-Ho hoped to become a football (soccer) player, but an injury in the 5th grade of elementary school ended those dreams. However, Lee Min-Ho still keeps up with football and mentions Nal-do Ho as his favorite player. In the 2nd year of his high school career, Lee Min-Ho turned his attention to acting. 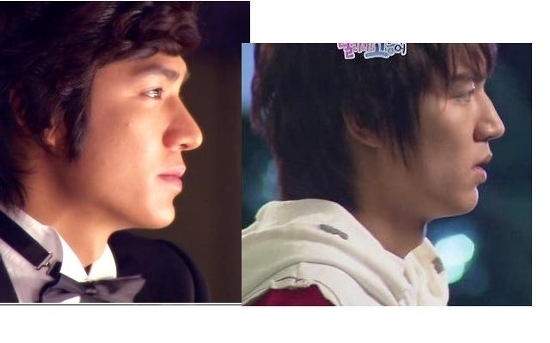 By the time of Lee Min-Ho's senior year in high school he joined Starhaus Entertainment with the help of an acquaintance. After going through training, Min-ho started auditioning for roles and landed smaller roles in several television dramas. His major breakthough came with Min-ho landing the lead role in the KBS2 drama "Boys Over Flowers" as Ku Jun-pyo. The television series became immensely popular and regularly received ratings of over 30% in South Korea. Lee Min-Ho is currently majoring in Film & Art at Konkuk University. Min-ho lee has stated his ideal woman is someone petite, with pure character, and fair complexion. Lee Min-Ho is good friends with actress Bo-yeong Park (acted together in the 2006 televison drama "Secret Campus" and the 2008 film "Our English Teacher") and has been friends with actor Jeong Il-Woo since middle school. The scariest moment for Lee Min-Ho was when he got into a car accident at the age of 20. Min-ho was hospitalized for 6 months. Min-ho has mentioned Leonardo DiCaprio, Sol Kyung-Gu, & Kim Su-Ro as some of his favorite actors. more.Check this cute interview and tell us your opinion about his secrets. Άντε να αρχίσει αυτό το City Hunter να τον "χαρούμε" και πάλι! O lee minho kata thn gnwmh m den einai mono polu kalos ithopoios alla k toso omorfos!! To xamogelo tou einai uperoxo! Oh wow einai kouklosssssssssss pali!!! Να αρχίσω τα φτου φτου πάλι? thank you η ξαδέρφη μου απλά σε αγαπάει μετά απο αυτό το link. οι φωτογραφίες να είναι κατασκευασμένες από Antis...ή τουλάχιστον έτσι έλεγαν στο Forum που βρήκα τις φωτό. σας παρακαλώ μετακινείστε το στο κατάλληλο. Ούτε και εγώ το ήξερα! Η παλιά ποια είναι από τις φωτο? Δεν μπορω να καταλάβω από που είναι η 2η! Και οι δυο μια χαρά είναι πάντως! Στη 2η κάνει ίσα ίσα μια καμπουρίτσα... Δεν πιστεύω να είναι αυτή η μετά? αλλά όπως και να έχει τον αγαπάω!!! Minho agori mo0..po0 gia xarh so0 alla3a t onoma mo0 sto fb kane kanena kaino0rgoo song gt exw simptomata sterhshs! Funny how this drama’s star (hot property Lee Min-ho) was cast first, then the director brought on, and lastly the writer: City Hunter has brought onboard scriptwriter Hwang Eun-kyung…who might inspire more confidence had she not been ejected from the Daemul production last year. with whom she clashed about the direction in which to take the drama. she’s got both an advantage and a liability in its fame and fanbase. detective with decidedly lecherous proclivities. The new SBS Wedsnesday-Thursday drama will air its first episode on May 25th. She will play ‘Kim Nana’, a woman experienced in the martial arts and is a guard for the Blue House (Korea’s equivalent of the White House). ‘Kim Nana’ will meet and fall in love with MIT graduate, ‘Dr. Lee Yoon Sung’. It’ll definitely be an interesting role for the actress, as she’ll be required to learn new skills for her character. ‘Kim Nana’ is especially proficient in judo, and since she’s a bodyguard as well, viewers will get to see her sweat and run around in both her blue uniform and sleek black attire. Park Min Young will be romancing Lee Min Ho, who plays the male protagonist ‘Lee Yung Jong’. Actor Lee Min Ho recently postes pictures of himself in various poses on his Facebook account. dimples which garnered attention and attracts fans. anime with the same title created by Hojo Chikasa.Lee Min Ho plays the role of a tall and handsome ex-CIA agent. City Hunter will be aired in May. Genika exei polu wraia muth gia asiaths einai san arxaioellinikh muth LoL alla nai ontws meta htan ligo kaluterh an ton enoxlouse kala ekane to paidi kai thn eftiakse!Pantws kai na mhn to ekane pali theos tha htane kai pali theos einai!! !